The Rebel Sweetheart. : Project BB Cream | Skin79 Super Plus Beblesh Balm. Project BB Cream | Skin79 Super Plus Beblesh Balm. It's been a successful two-week run for my Crazy Cupid Giveaway (almost 6000 entries as of this writing, wow!) and methinks it's because of the fabulous prizes at stake. Really. Even I would want the prizes for myself, haha! Now the giveaway will be closing in sixteen hours, but before this event officially ends, I want to share my thoughts on one of the prizes - the Skin79 Super Plus Beblesh Balm. Allegedly one of the best-selling BB creams in the market, the Skin79 Super Plus Beblesh Balm functions in three ways - whitens and brightens the skin, conceals skin imperfections, and protects the skin from harmful UV rays with its SPF25 PA++ feature. This BB cream has been deemed unique because of its osmopur ingredients (contained in sunflower, ricebran, and ivy extracts) which protect the skin and keep it free from imperfections. Also found in the Skin79 Super Plus are adenoisine and arbutin, both known for their whitening properties. Finally, there's Phyto-Complex which brightens the skin and keeps it moisturized. The positive reviews that I've read about this product are one too many. And that made me really curious as to why this BB cream seems to be very popular and well-loved. This BB cream comes in just one shade, and its color is somewhat similar to my Missha Signature Wrinkle Filler BBCream in #21. It has a slightly grayish cast, but once the BB cream oxidizes, it matches the skintone quite nicely. Consistency is creamy but not too thick, easy to blend, and doesn't look or feel heavy on the face. Coverage is buildable from medium to full, and has a slightly dewy finish. Staying power is pretty good too, eight hours at the most, on top of the humid weather that we've been having the past few days. Best of all, I had no breakouts or any form of skin irritation from this product. Yeah, sad to say, Skin79 has no physical store in the Philippines yet. You can opt to buy this product online, though. It sells for Php 950 at Stuff in Style. That's a very reasonable price, if I may say, since a 40g bottle of this sells for 27000 KR Won at Emart. Converted, that's around Php 1000. Benefit Erase Paste in Medium, Skin79 Super Plus Beblesh Balm. 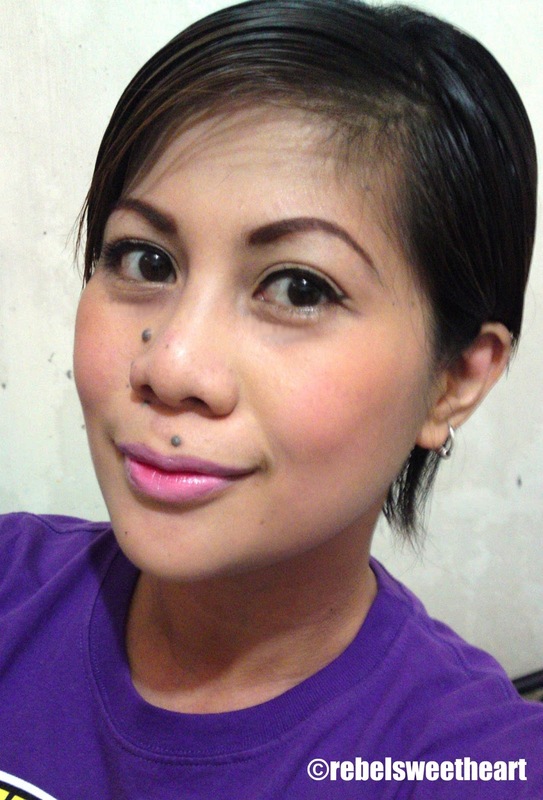 MUA Lip Boom in OMG, MAC Clear Lip Gelee. That looks like an amazing product and it looks like it covers evenly. I hope that the winner of your giveaway enjoys this product. It's good that there's SPF on the cream which adds protection from the sun. Looking radiant. :) I love gradient lips as well. I sport it quite a lot these days as well. I've tried bb cream and its just not for me, but it looks great on you! What blush do you use? Beautiful! Wow-so lucky to have a great turnout for your giveaway. Must be a good product!